How to care for and maintain a beautiful pond. Adequate pond filtration is required to maintain a healthy pond. An undersized filtration system can harm fish and plants and cause your pond water to turn murky and green. 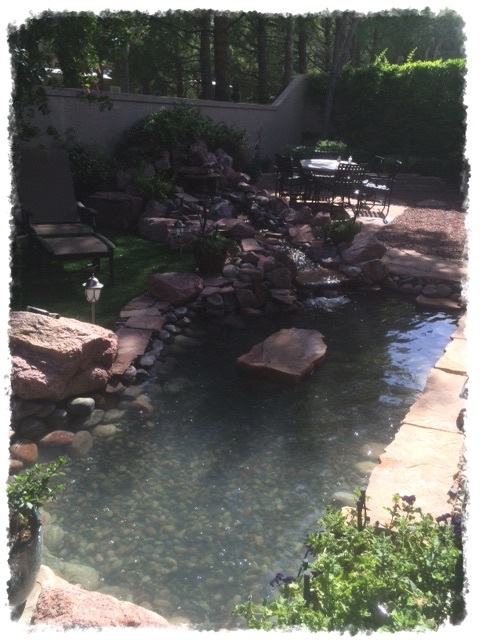 Tranquility Ponds installs undergravel filtration systems as well as external filters designed to keep your pond clear with a balanced ecosystem. 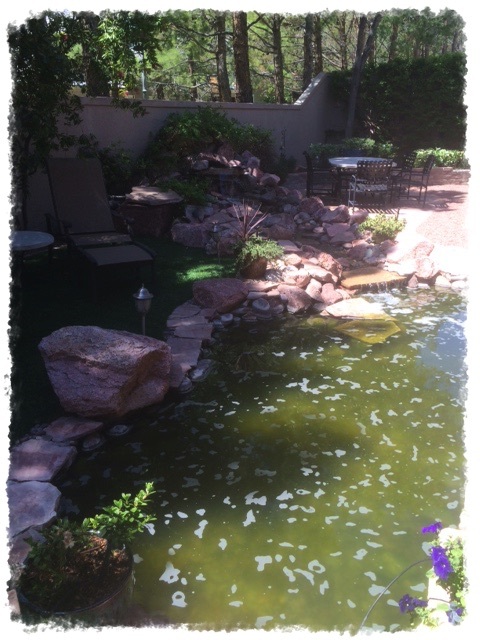 Contact Tranquility Ponds for assistance in determining your pond’s filtration needs. 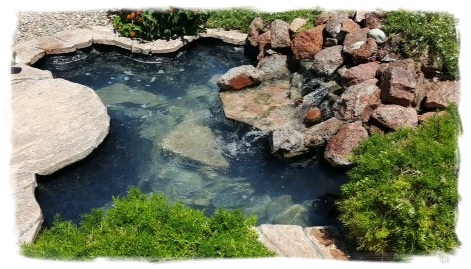 Tranquility Ponds recommends that you treat your pond with Algae Fix and Sludge Digester weekly. Algeafix controls existing algae, helps resolve additional algae blooms, and it won’t harm live plants or koi. Sludge Digester helps your pond remain crystal clear keeping bottom sludge to a minimum using a variety of beneficial bacteria that digest sludge. 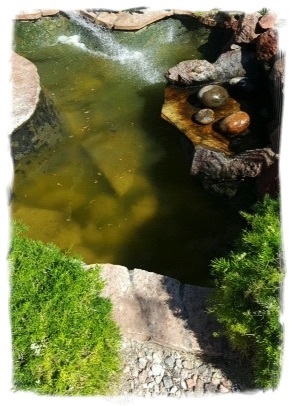 Stop by our Las Vegas store for your supply of these pond treatments. Tranquility Ponds recommends that you schedule a pond cleaning every 6-12 months depending upon your fish population and surrounding landscaping. A thorough pond cleaning maintains your pond’s appearance and contributes to a healthy ecosystem. Tranquility Ponds offers complete pond cleaning services. To schedule your pond cleaning just fill out the form on this page and we will contact you to schedule a complete pond cleaning at your convenience. An abundance of aquatic plants not only looks great, but helps your pond’s ecosystem. 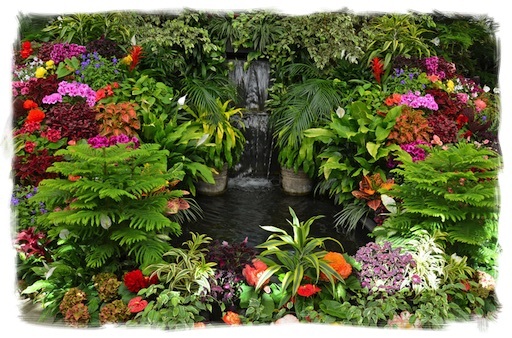 Tranquility Ponds stocks a wide variety of aquatic plants including water lilies, marginals, and floating plants. Stop by our Las Vegas store to choose your plants from our large selection! 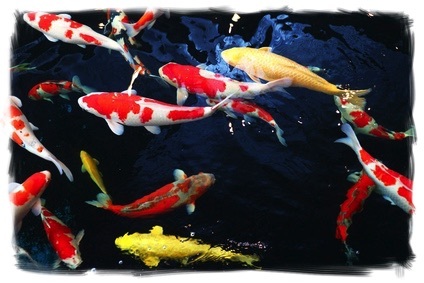 Tranquility Ponds stocks a wide variety of fish including various size koi. Stop by our Las Vegas location to make your selection! Copyright 2019 Tranquility Ponds Sales & Construction LLC.